Whilst traditional mineral insulating oil to IEC60296:2012 remains the mainstay for filling large power transformers in the UK and Europe there are other options for consideration in specific environmental situations. Midel 7131 Synthetic Ester is commonly used in 11kV transformers in areas where the risk of a fire or oil leak is unacceptable under any situation, and in this new location next to populated areas and a busy London School Midel was judged to be the perfect solution to minimise risk. 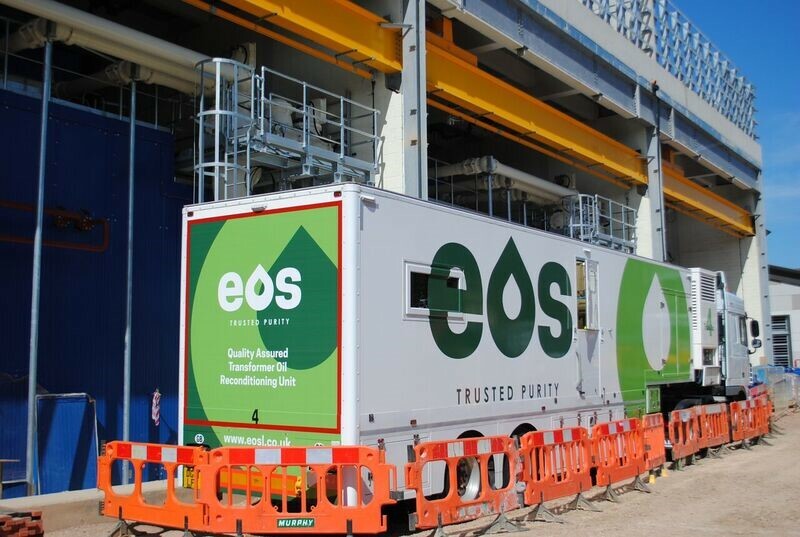 EOS were approached by Siemens, a long standing partner with a joint working history of filling power transformers over 30 years, to supply a Mobile Processing Unit (MPU) to vacuum fill and process these three new transformers with Midel fluid. 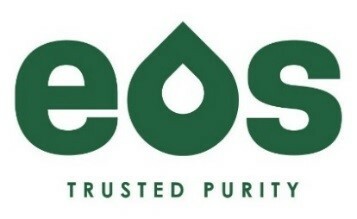 EOS Engineers made a number of site visits to discuss the plan with Siemens Project Engineers and later factory installation staff to ensure the filling procedure was exactly in line with Siemens and M&I material’s specification. 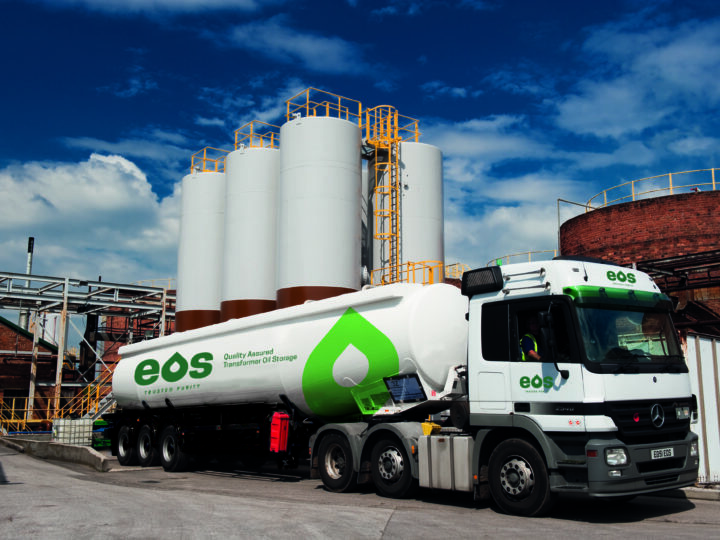 In addition to supplying a state of the art MPU, EOS was able to help keep costs on target by supplying their new bespoke Mobile Vacuum Unit, this MVU turned up in advance of the MPU to pull and hold vacuum to ensure the Midel fluid fully impregnated the paper insulation on filling. The MVU’s small footprint ensured that other large vehicles could still access the site during this critical path operation. 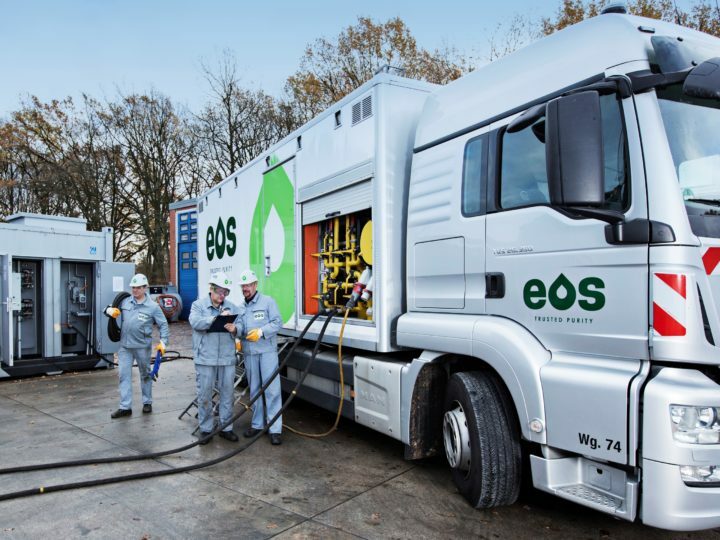 EOS operates state of the art Mobile Processing Units that are modern, efficient, self-contained and manned by skilled operators with many years’ experience working for large UK and European OEMs, Generators and utilities. 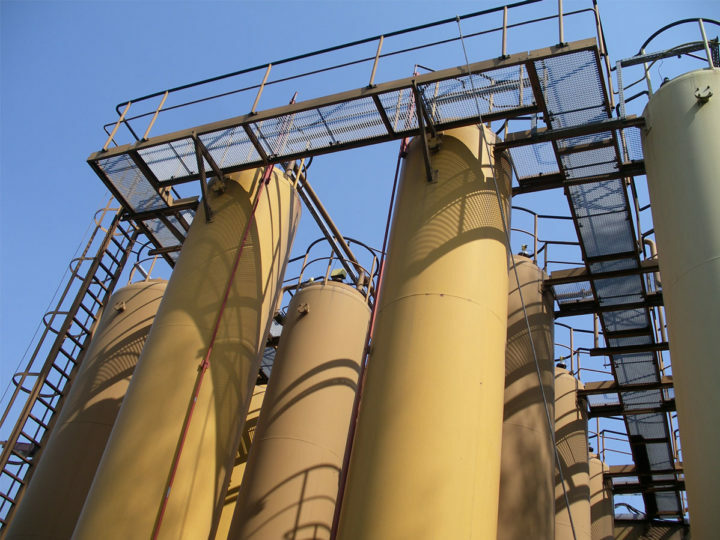 Our Project Engineers can come to your site to assess specific needs, discuss best oil handling practise, train your staff and/or advise on the best course of action for your transformer insulation system.